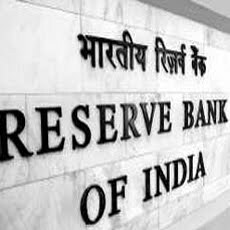 The Reserve Bank of India (RBI) has extended the renewed norms for investing in long-term zero coupon bonds (ZCBs) to the all India financial institutions as well in a move aimed at avoiding any systemic troubles in long run. Zero coupon bonds are generally sold at a significant discount to face value, and provide an amount equal to the face value at maturity but do not carry any coupon rate. The RBI said on Thursday that the norms earlier issued for banks for investing in ZCBs or the deep discount bonds ‘shall mutatis mutandis apply to the select All-India Financial Institutions as well’. These institutions include Exim Bank, National Bank for Agriculture and Rural Development (NABARD), National Housing Bank and Small Industries Development Bank of India (SIDBI). ICICI Prudential Mutual Fund will open a New Fund Offer (NFO) ICICI Prudential Fixed Maturity Plan - Series 54 - 18 Months Plan A, a close-ended debt scheme. The units under the fund will get listed the National Stock Exchange of India (NSE). The scheme offers two options - growth and dividend options with the dividend option offering payout facility while the tenure of the scheme has been fixed as 550 days from the date of allotment. No entry and exit load is applicable for the scheme while the minimum target amount under the scheme is Rs 5 crore. The minimum application amount will be Rs 5,000 and in multiples of Re 1 thereafter. Moser Baer India (MBI) has been awarded a grant by the Ministry of New and Renewable Energy (MNRE) to engage in the developmental activity of Copper Indium Gallium Selenide (CIGS) solar cells. The company will be conducting the development work from its world class corporate R&D facility at Greater Noida in Uttar Pradesh. Owing to its high efficiency and cost effectiveness, CIGS based thin film solar cell technology is likely to emerge as one of the most promising solar cells. The focus of this R&D project is to develop a differentiated, indigenous, commercially viable technology based on core competencies of Moser Baer. 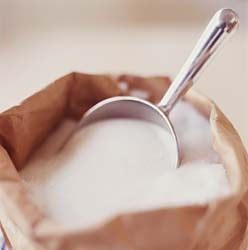 The Indian government said on Wednesday that sugar production in the country this season (October-September) will be ample and there will also be a significant export surplus. Agriculture minister Sharad Pawar expressed confidence that sugar production would be around 25 million tonne (MT) compared with a demand of around 23 MT. “On the sugar front too, the news this year is good with record plantation of sugarcane. I am confident of 250 lakh tonne of sugar production this sugar year,” said Pawar while speaking at the Economic Editors’ Conference in New Delhi. He added that it would be first time when India would have a surplus crop at a time when global markets are reeling under shortage. 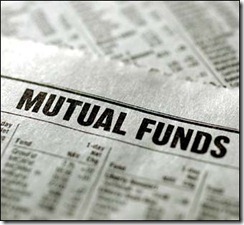 Mutual Funds (MFs) made investments worth Rs 846.30 crore and sold off Rs 751.30 crore worth of equities on October 25, 2010, according to data released by the Securities and Exchange Board of India (SEBI). Thus, MFs stood as net buyers of Rs 95.10 crore in equities on that day. In the month of October, MFs have made total investments of Rs 10565.5 crore and sold off Rs 15583.3 crore worth of equities, so far. In the debt segment, MFs made investments of Rs 1982.80 crore and sold off Rs 1761.40 crore on October 25, as per the details available with SEBI. Thus MFs stood as net buyers of Rs 221.40 crore on that day. Further, MFs have poured in total Rs 46211.504 crore and have taken out Rs 30449.7 crore in debt market for the month of October, so far. In a bid to expand its production capacity to over 17 lakh units annually, Maruti Suzuki India, country’s largest automaker is planning to add 1,500 outlets by 2015. The said expansion is expected to generate additional employment of about 22,000 people by the service network operators. At present, the company has 2,784 service points and it is planning to increase it to over 4,200 outlets in the next five years, a jump of more than 50%. Last month, the company had announced to invest about Rs 1,925 crore to set up a third plant with an installed capacity of 2.5 lakh units inside the Manesar facility. State-owned National Thermal Power Corporation (NTPC) has executed a memorandum of understanding (MOU) with the government of Madhya Pradesh (MP) and MP Power Trading Company (MP Tradeco). The MoU is for setting up of 3,960 MW (6x660 MW) Coal Based Thermal Power Project near village Barethi, District Chhatarpur in Madhya Pradesh for the benefit of Bundelkhand region. 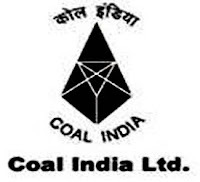 Recently, the PSU had entered into a MoU with the government of Punjab and Punjab State Power Corporation for setting up of 2640 MW (4x660MW) coal based Thermal Power Project at Giddarbaha in the state of Punjab. NTPC’s net profit had declined by 16.03% to Rs 1,841.89 crore for the quarter ended June 30, 2010 as compared to Rs 2,193.62 crore for the quarter ended June 30, 2009. UTI Mutual Fund has declared dividend under dividend option of UTI Pharma and Healthcare Fund, an open ended equity oriented scheme. The amount of dividend declared will be Rs 1.70 per unit as on record date. The record date for the dividend has been fixed as October 28, 2010. The investment objective of the scheme is to generate capital appreciation through investments in equities and equity related instruments of pharma and healthcare sector. 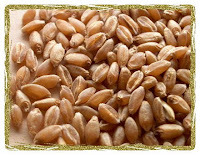 Wheat futures have continued their declining trend on Friday, tracking the weakness in the global markets, Wheat on CBOT fell to the lowest level in almost two weeks on speculation that rain will improve early development of winter crops in the US Great Plains. 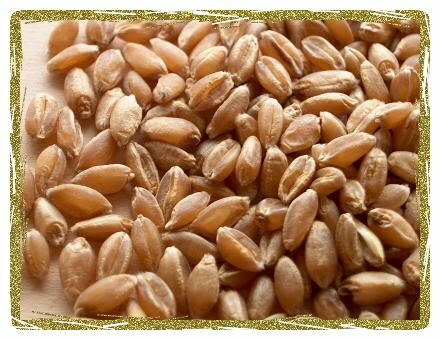 In the domestic front the government on Wednesday announced a modest hike of Rs 20 per quintal in the Minimum Support Price (MSP) of wheat to be procured from farmers, up by 1.82%, it was the lowest increase in five years, signalling adequate stocks of the grain. The contract for November delivery was trading at Rs 1266.40, down by 0.44% or Rs 5.60 from its previous closing of Rs 1272.00. Coal India’s initial public offering (IPO) has been subscribed 11.61 times on its penultimate day. It has received bids for 7332074950 shares against the issue size of 631636440 equity shares, while 143627400 bids were received at the cutoff price as per the data available with the NSE. The government through this IPO will be diluting its 10% of stake and post IPO will be left with 90% of stake and aims to raise around Rs 15,000 crore. The PSU will offer 63.16 crore shares at a face value of Rs 10 each. There will be a 5% discount for retail investors and 5% for employees. Mutual Funds (MFs) made investments worth Rs 343.70 crore and sold off Rs 1428.70 crore worth of equities on October 15, 2010, according to data released by the Securities and Exchange Board of India (SEBI). Thus, MFs stood as net sellers of Rs 1085 crore in equities on that day. In the month of October, MFs have made total investments of Rs 6314.3003 crore and sold off Rs 11060.2 crore worth of equities, so far. In the debt segment, MFs made investments of Rs 1501.50 crore and sold off Rs 3006.20 crore on October 15, as per the details available with SEBI. 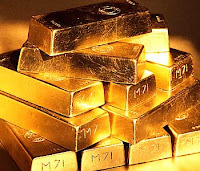 Gold prices registered a decline of around a percent on Monday after traders turned cautious as the US dollar bounced back. The yellow metal prices were weighed down since the greenback appreciated around half a percent against major currencies from a 10-month low last week. Gold futures for December delivery closed 0.8% lower at $1,360.7 an ounce on the Comex division of the New York Mercantile Exchange whereas Spot gold declined $10.50 to $1,360 an ounce. India's 3rd largest national mobile operator by revenue, Idea Cellular, has launched a mega offer for mobile consumers in Andhra Pradesh (AP), on the joyous occasion of Diwali. The telecom major, though its 'Kanaka Varsham' offer will provide a once-in-a-lifetime opportunity to win high value prizes such as - Gold coins, Gold bars, Cars, Bikes, LCD TVs and mobile handsets - to all its new and existing subscribers in AP. Hence, those consumers (both prepaid and postpaid), who buy a new Idea connection will get an assured gift of Voice or VAS packs and will be eligible to win Gold coins, daily. This offer is coming into effect from October 15, 2010. Principal Mutual Fund has declared dividend under its scheme - Principal Emerging Bluechip Fund, an open-ended equity scheme. The amount of dividend declared for distribution under the scheme is Rs 1.00 per unit. The record date for distribution of dividend is October 15, 2010. The primary objective of the scheme is to achieve long-term capital appreciation by investing in equity and equity related instruments of mid cap and small cap companies. HDFC Mutual Fund has declared dividend under dividend option of HDFC FMP 35D September 2010 (1) under HDFC Fixed Maturity Plans - Series XIV on the face value of Rs 10 per unit. Entire distributable surplus as on the record date shall be declared as dividend under the scheme on the record date. The record date of dividend distribution is October 20, 2010. 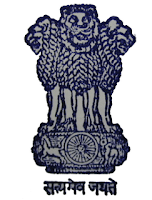 The NAV of the scheme as on October 13, 2010 was Rs 10.0617 per unit. The investment objective of the scheme is to generate income through investments in Debt/ Money market Instruments and Government Securities maturing on or before the maturity date of the respective plans. State-run Oil and Natural Gas Corporation (ONGC) is planning to tie up with the energy firm that gets the rights to develop Russia’s largest discovered fields Trebs and Titov, according to a media report. Trebs and Titov fields have about 200 million tonne recoverable reserves, equivalent to 35% of ONGC’s total crude oil reserves. The auction is due on December 2, 2010 and only two Russian energy firms, OAO Bashneft and OAO Surgutneftegaz are qualified to bid for the country’s strategic oil reserves. OAO Bashneft is in better position to get the field as it has spare refining capacity, a major condition for winning the project. ONGC had posted a net profit of Rs 3,661.14 crore for the quarter ended June 30, 2010 against Rs 4,847.92 crore for the quarter ended June 30, 2009, down 24.48%. Axis Bank has got the green signal from the Reserve Bank of India (RBI) to set up a subsidiary in the UK and also to upgrade its Shanghai representative office into a branch. The bank is also planning to approach the regulatory authorities for upgrading its Chinese office into a branch. Apart from Shanghai, the bank also has its presence in Singapore, Hong Kong and Dubai. In pan India, Axis Bank has a network of over 1,090 branches and over 4,700 ATMs. Axis Bank offers a vast spectrum of services encompassing Large and Mid-Corporate Banking, SME Banking, Agri-Business Banking, Retail Banking and International Banking. ICICI Prudential Mutual Fund has announced the declaration of dividend on the face value of Rs 10 per unit under dividend option in retail & institutional option of ICICI Prudential Interval Fund – Annual Interval Plan - III. The record date for dividend has been fixed as 18 October 2010. The quantum of dividend will be Rs 0.3649 per unit for retail option and Rs 0.4524 per unit for institutional option. The NAV for retail & institutional option was at Rs 10.4672 per unit and Rs 10.4524 per unit respectively, as on 11 October 2010. The investment objective of the scheme is to seek to generate optimal returns consistent with moderate levels of risk and liquidity by investing in debt securities and money market securities. Elecon Engineering Company has won an order worth Rs 21 crore from Wonder Cement, Udaipur (Rajasthan). The order is for design, engineering, manufacturing and supplying of material handling equipments. The company will supply stacker and reclaimer for cement plant, complete with auxiliaries at Chittrogarh, Rajasthan. Last week, it had bagged different projects worth Rs 56.26 crore from Tecpro Systems for designing, engineering, manufacturing, testing, supplying, crectioning and commissioning of material handling equipments and other equipments. 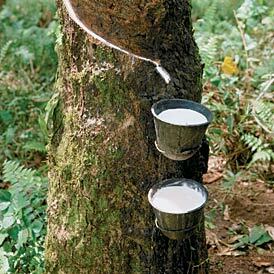 Physical rubber prices firmed up on Monday, mainly due to short covering and taking cues from the gains in the futures market. Though there was not much enquiry from the consuming sectors. Spot price for RSS-4 variety closed at Rs175 compared to its previous closing of Rs 174.5 while the RSS-5 variety closed at Rs 168 compared to its previous closing of Rs 167.5. In the futures market the contract of October delivery for RSS 4 improved to Rs 177.5 compared to its previous closing of Rs 176.73 while the contract for November delivery closed at Rs 179.21 compared to its previous closing of Rs 177.55 on the National Multi Commodity Exchange. Kotak Mahindra Mutual Fund has declared dividend under dividend option of Kotak Select Focus Fund, an open ended equity scheme. The amount of dividend declared for October 15, 2010 will be Rs 1.25 per unit under the plan as on the record date. The amount of dividend declared for October 15, 2010 will be Rs 1.25 per unit under the plan as on the record date. The investment objective of the scheme is to generate long term capital appreciation from a portfolio of equity and equity related securities generally focused on a few selected sectors. 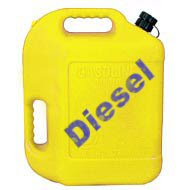 The Indian government said on Monday that it would not be wise to hike the price of diesel at the moment due to the high inflation scenario in the economy even though it was committed to deregulate the diesel prices too at some stage. It had earlier completely freed the prices of petrol. Union finance secretary of the country Ashok Chawla, said in an interview that it was not prudent to deregulate diesel prices when inflation is high as diesel prices can add further to inflation by hiking the cost of transportation and running generators. He though added that government was committed to rationalizing subsidies. India’s annual Food inflation continues to remain above 15% even as broader headline inflation hovers around 8.5%. Engineering and construction major Larsen & Toubro’s (L&T) buildings and factories operating company- part of its construction division has secured orders aggregating to Rs 1585 crore in the second quarter for the construction of residential projects, factories, office space, hotel including add on orders from various ongoing projects. It has secured new orders aggregating to Rs 435 crore for the construction of residential building projects from leading developers. It has further secured orders worth Rs 781 crore from esteemed clients for construction of hotel, office building and add on orders from its ongoing airport and commercial building projects. 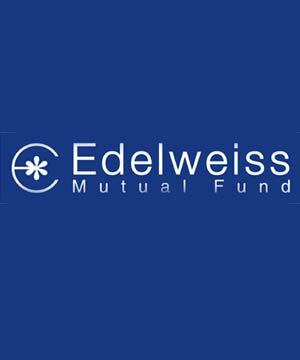 Edelweiss Mutual Fund has announced daily dividend under retail option of Edelweiss Liquid Fund. The fund house has announced dividend of Rs 0.00120400 per unit for both individual / HUF and others for October 7, 2010 under retail dividend plan. The objective of the scheme is to provide optimal returns, commensurate with low risk and high degree of liquidity, through a portfolio constituted of money market and short-term debt instruments. Kernex Microsystems (India) has bagged an additional order from Egyptian National Railways (ENR), Egypt. The value of the contract including local supplies is about $4.53 million. The company is engaged in the business of manufacturing, installing and maintaining of anti-collision systems as well as conceptualizing, designing, and developing certain railway safety and signal systems for Konkan Railways Corporation Ltd. These safety and signal systems are suitable for medium to low speed & density railway tracks like in India and other developing countries. The issue has received bids for 3073700 shares against the issue size of 7679410 equity shares, while 1167600 bids were received at the cutoff price. The issue opened for subscription on October 6, 2010 and will close for subscription on October 8, 2010. The price band of this issue has been fixed at 257-266 per equity shares. IL&FS Investmart Securities is the sole book running lead manager to the issue, while Karvy Computershare is the registrar. 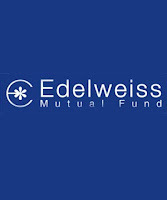 Deutsche Mutual Fund has declared daily dividend under individual and non individual option in regular dividend plan of DWS Insta Cash Plus Fund. The amount of dividend declared for October 6, 2010 is Rs 0.01281320 per unit for both individual and non individual. The investment objective of the scheme is to generate steady returns along with high liquidity by investing in a portfolio of short-term, high quality money market and debt instruments. 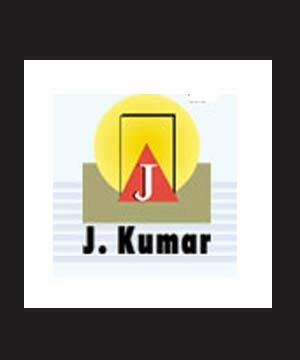 J. Kumar Infraprojects has received work order amounting to Rs 136 crore. The first work order is for construction of the phase - II BRTS Corridors for the city of Ahmedabad Package - I which is valued at Rs 116 crore, while the second order is for pilling works orders from various parties', worth of Rs 20 crore. 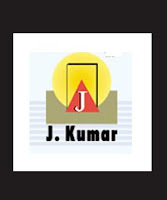 J Kumar Infraprojects has its presence in transportation engineering,civil construction and irrigation projects which involves projects like rigid and flexible pavement roads, flyovers, bridges, grade separator, etc. 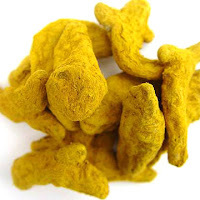 Turmeric futures are trading up as arrivals remained low but exporters are reportedly waiting for corrections before initiating fresh demand in the mandis. Some export queries from mid-east Asian countries too have supported the fall in the price of the commodity. The contract for October delivery was trading at Rs 14420, up by 2.78% or Rs 390 from its previous closing of Rs 14030.00. The open interest of the contract stood at 11240 lots. The contract for November delivery was trading at Rs 12698, up by 2.68% or Rs 332 from its previous closing of Rs 12366. The contract for November delivery was trading at Rs 12698, up by 2.68% or Rs 332 from its previous closing of Rs 12366. The open interest of the contract stood at 7975 lots on NCDEX. 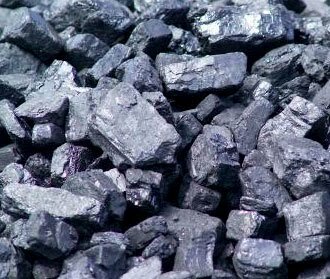 The Ministry of Coal has asked all the companies holding captive mines of coal to submit status report for these for the second quarter of the fiscal, and if sufficient development, as agreed upon in the contract awarding the blocks, has not taken place, the government might cancel the allocations of such blocks. The government has off-late picked up its vigilance to weed out the non-serious players which have been sitting idle on the allotted blocks. It had earlier stated in a general notice sent to all captive block holders that if they fail to develop the blocks as per the terms of the agreement grating the block, their allocation would be cancelled. Tata Motors has acquired 80% of stake in Trilix Srl., Turin (Italy), a design and engineering company, for a consideration of Rs 11 crore. Trilix provides a range of automotive design and engineering services, including styling, architecture, packaging, surfacing, macro and micro feasibility, and detailed engineering development. Consequently, the remaining 20% stake is equally held by its promoters Bryn Jones, Federico Muzio and Justyn Norek। The acquisition is in line with the company's objective to enhance its styling/ design capabilities to global standards. Earlier too, both these companies have worked together on several projects.